Dr. Katz specializes in Phlebology, the specialty of treating varicose vein disease and sclerotherapy. We know how important it is to find the right physician and Dr. Katz is dedicated to making you feel at ease throughout the exam and the procedure. He will thoroughly evaluate your condition, discuss the details and present you with a course of action that works best for you. We have the confidence that we can provide the best treatment for you. At DeKalb Vein Center, we offer the latest in minimally invasive venous disease treatments, including the VNUS Closure™ procedure and sclerotherapy. The VNUS Closure vein procedure was developed over a four year period to treat superficial venous reflux. There are no stitches and the patient returns to normal activity within a day or two. In fact, walking is encouraged immediately. 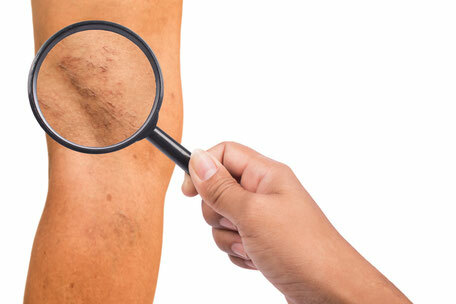 Spider veins are small, thin veins which commonly appear on the face and legs. 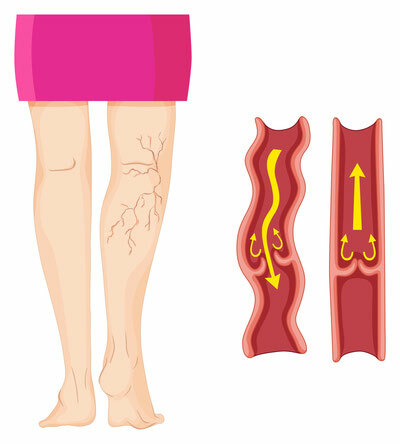 Sclerotherapy is the injection of chemicals into these diseased veins to effectively glue the veins shut. It can be performed safely with little discomfort. Depending on the patient’s condition and desired results, between two and six sclerotherapy sessions (each typically lasting less than 30 minutes) are needed to achieve perfect results. If you or someone you know suffers from any of these symptoms, call Dekalb Vein Center at (404) 501-9377 to schedule a free consultation. Varicose vein treatment is often covered by insurance. The patient and the doctor will need to illustrate that the treatment is medically necessary. We are in network with all the major insurance plans and our staff is experienced in working directly with insurance companies to ensure your surgery and/or procedure is covered. Schedule an appointment today. We are here to help you with any questions and make you feel comfortable with what plan works best for you. Don't know if you have vein disease? Call (404) 501-9377 today or fill out this simple vein questionnaire and find out.